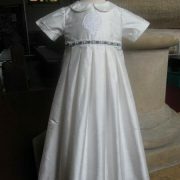 A beautiful silk dupion christening gown very similar to the William Gown but with a fuller skirt and larger pleats. 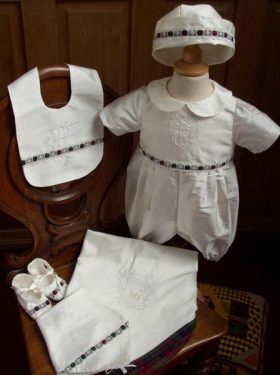 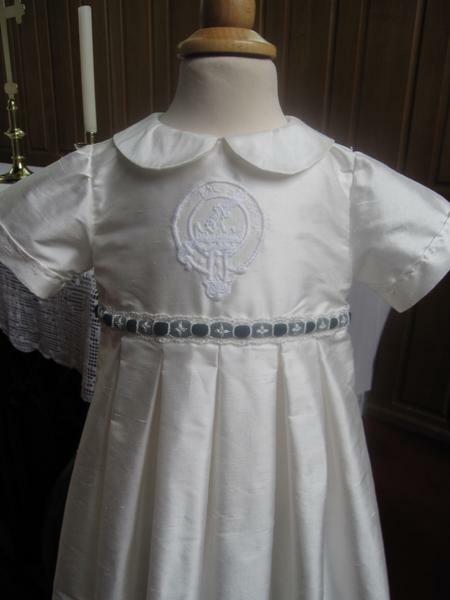 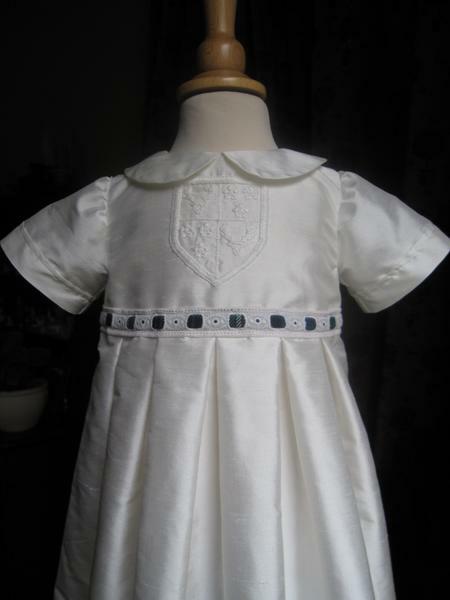 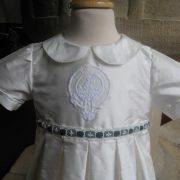 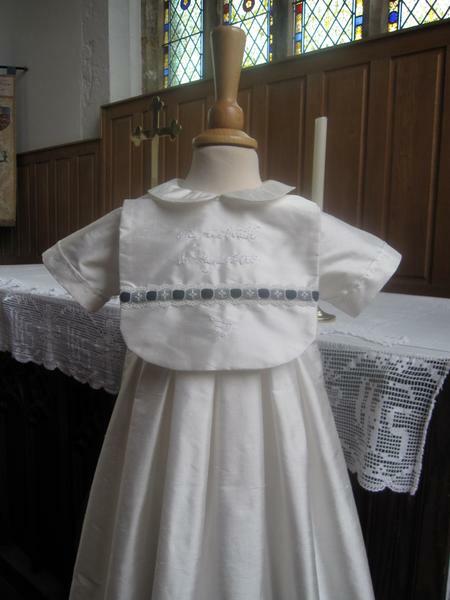 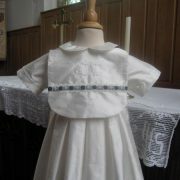 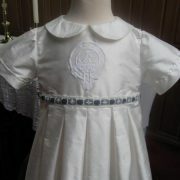 This is a delightful christening gown again suitable for both baby boys or baby girls. 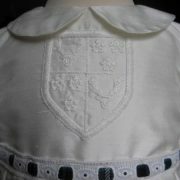 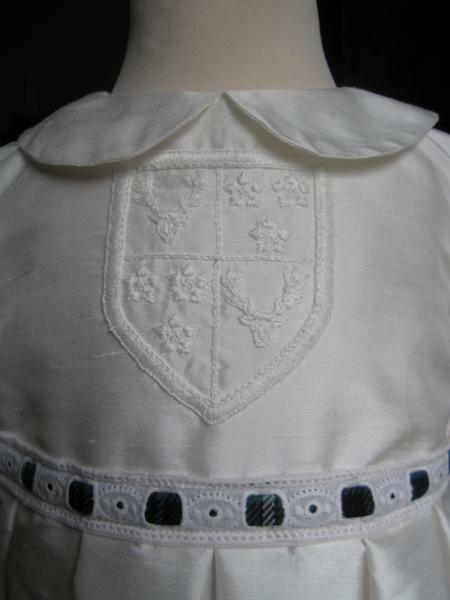 The bodice is decorated with your chosen clan crest badge,shield or coat of arms. 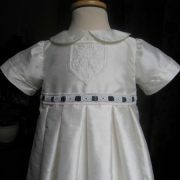 It has a delicate Peter Pan collar which softens the neckline. 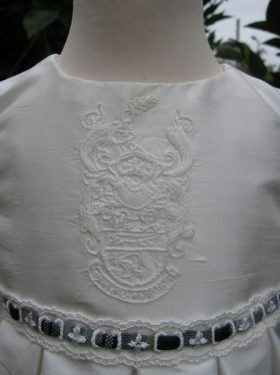 Short sleeves are softly fitted into the bodice and have pintuck detail at the cuff. 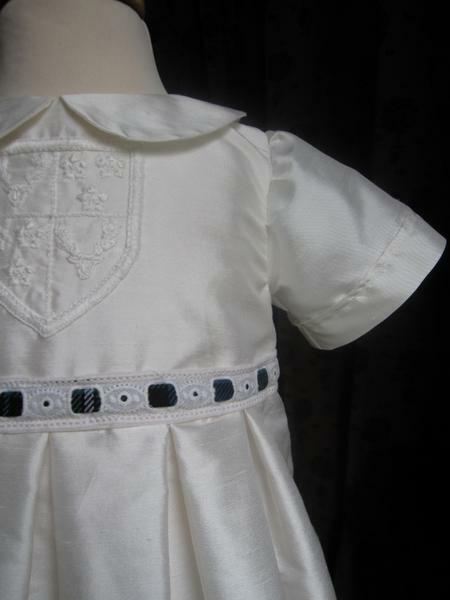 The long full skirt is gathered into lovely pleats at the waistline with the bodice. 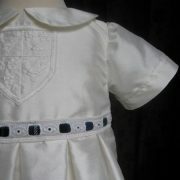 Your chosen tartan is then inserted through lace and trims the waist seam. 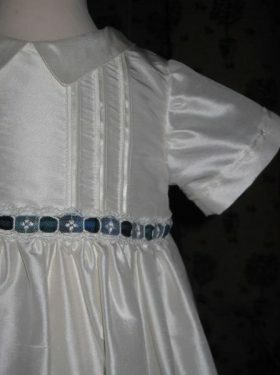 I just wanted you to know that we got so many compliments about Erin's dress on Sunday. 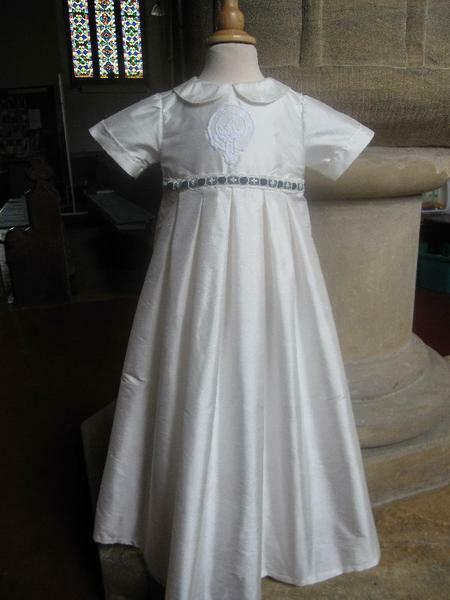 She looked gorgeous so thank you very much. 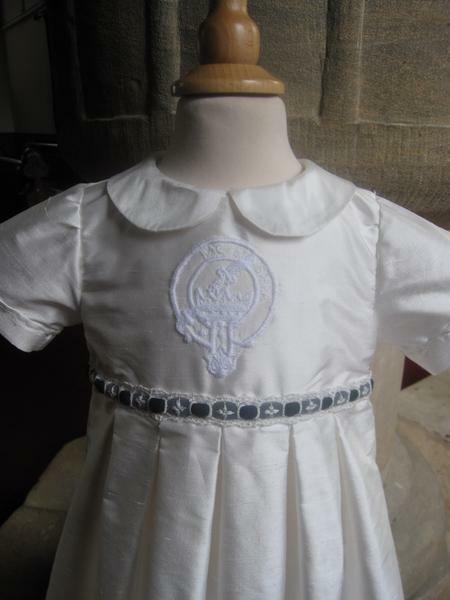 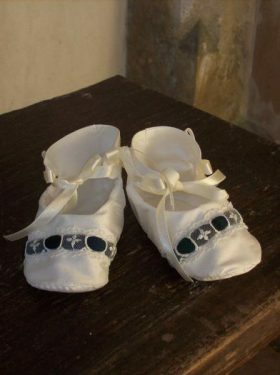 All Erin Christening Gown accessories are made to match the Christening Gown using the same silk fabric and matching tartan trim.